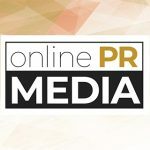 Online PR News – 10-February-2016 – San Diego, CA – SAN DIEGO (Feb. 9, 2016) – Crosbie Gliner Schiffman Southard & Swanson LLP (CGS3) partners Thomas Crosbie, Ray Gliner, Phil Jelsma, Brian Kintz, and Dana Schiffman have been recognized as 2016 San Diego Super Lawyers, with partner Fernando Landa featured as a San Diego Super Lawyers Rising Star. This year's Super Lawyers selection recognizes six of the nine partners of CGS3, a San Diego based commercial real estate law firm founded in 2013. Just five percent of San Diego attorneys are featured in Super Lawyers, which each year ranks the top attorneys in San Diego, as well as from other regions throughout the United States. Meeting Super Lawyers’ exacting standards, the six CGS3 partners concentrate on practice areas including finance, acquisitions/dispositions, entity formation, tax, development, leasing, distressed assets and litigation/disputes. Super Lawyers – the leading annual legal services directory for consumers – is a rating service of top attorneys from more than 70 practice areas who have attained a high degree of peer recognition and professional achievement. The selection process is based on peer nominations supported by interviews, independent research, data verification and good standing review. Rising Stars meet the same criteria as Super Lawyers, however candidates must be 40 years old or younger or have practiced law for 10 years or less. Since its inception in 2013, CGS3 has emerged as the preeminent commercial real estate law firm in California, attracting best-in-class real estate attorneys from both large corporate firms and senior in-house positions. With practice areas including finance, acquisition/disposition, entity formation, tax, development, leasing, distressed assets and litigation/disputes, CGS3 is a highly specialized firm serving a marquee list of public, private, and institutional clients in hundreds of high-profile real estate transactions. CGS3 is located at 12750 High Bluff Drive, Suite 250, San Diego, California 92130. For more information, visit http://www.cgs3.com.